Tomorrow, Fox launches its first X-Men-inspired TV show: Legion, which follows the seemingly indescribable life of David Haller, a man who thinks he either has vast psychic powers or he’s going insane. But despite some major ties to equally major X-Men characters, Haller—a.k.a. Legion—is relatively unknown. Here’s what you need to know. While Legion the TV show has yet to confirm Haller’s familial connection to Charles Xavier—all we know is that it’s definitely not part of the same universe as the X-Men movies—in the comics, David has always been the child of the X-Men’s iconic leader. Xavier met David’s mother, Gabrielle Haller, while working in a psychiatric facility in Israel. The two bonded over their work and eventually began a two-year affair that eventually culminated in Gabrielle becoming pregnant. However, she hid her pregnancy from Xavier until he left Israel, and when David was born, she kept the identity of his father a secret even to him. Unfortunately, David’s life would be quickly marred with horror and tragedy. As a child, David witnessed a group of terrorists murder his stepfather in an assassination attempt on Gabrielle’s life. The horror of the incident triggered his latent psychic powers, and in a fit of confusion and rage, David burned out the minds of his stepfather’s killers. At the same time, however, David became psychically linked to each of his victims, experiencing the moments of their deaths simultaneously and inadvertently absorbing the consciousness of the terrorist’s leader, Jemail Karami, into his own (we’ll get to that in a bit). The shock was too much for the young boy, and after the event David went into a coma. He brought to Muir Island for monitoring under Doctor Moira McTaggart, frequent ally of the X-Men. 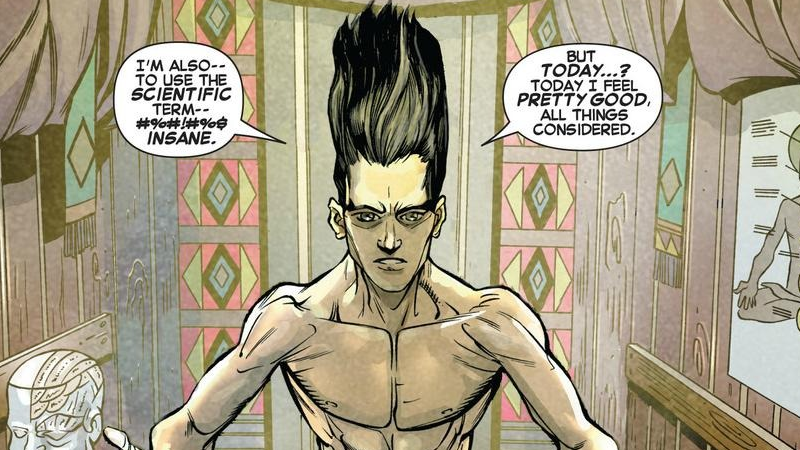 Although his father never officially received the classification, David’s psionic ability to absorb consciousnesses and superpowers into his own persona classifies him as an “Omega-Level Mutant.” Although in the comics the term has not been fully defined, but has still changed in meaning over the years, typically it denotes a rare mutant of vast, vast power. Not many official Omega mutants exist—the brief list includes the likes of Psylocke, Iceman, Phoenix, and Legion himself—but as David’s powers keeps growing, he’s often seen as one of the most powerful mutants even among the Omegas. The stress of unleashing his psychic powers for the first time didn’t just send David into a catatonic state, his personality also shattered into different pieces, giving him dissociative identity disorder. Originally, David had many, many personalities, but while in his coma, the absorbed identity of Jemail Karami, who somehow helped control David’s mind-reading powers after regaining his sense of self within David’s mind, helped merge many of those personalities back into David’s primary persona—himself as a young child before his stepfather’s death. However, two personalities resisted Karami’s efforts: One, an adventurer named Jack Wayne, and the other called Cyndi, a rebellious teenage girl. The three personalities waged war with each other in David’s mind, even after he’d emerged from his coma—until David’s psychic abilities started flaring up uncontrollably, and he started inadvertently absorbing the consciousnesses of people around him. Professor X and the New Mutants were called in to help stop David’s episodes, and shortly before he agreed to link with David’s mind, Xavier finally discovered that Haller was his son. With their help, many of the personalities David had absorbed were expunged from his mind—all except for David himself, Cyndi, Jack, and Karami, who had no body to return to. Although David was back in control of himself—although specifically as the version of himself from before his powers manifested—the conflicted had taken its toll on the young man, transforming his physical appearance to give him long hair, perpetually stuck directly upwards. 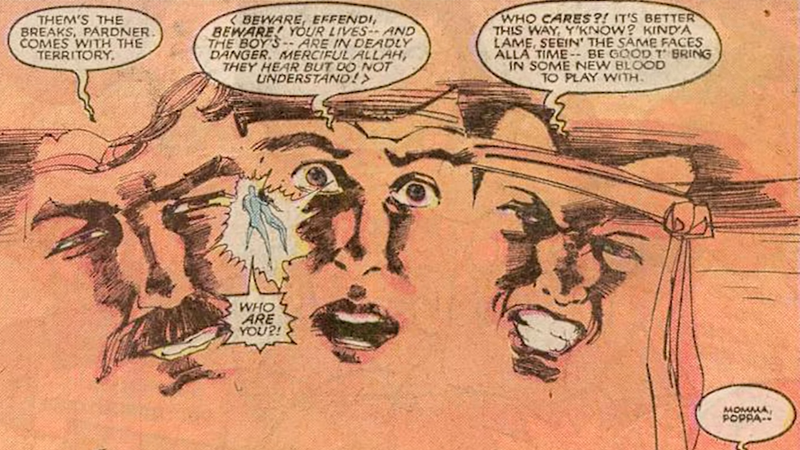 Although most mutants only develop a handful of abilities when their mutant genes activate, David’s dissociative mental state and unique ability to absorb the conscious minds of people near him means that he can keep adding different abilities to himself every time he absorbs the mind of a powered individual. 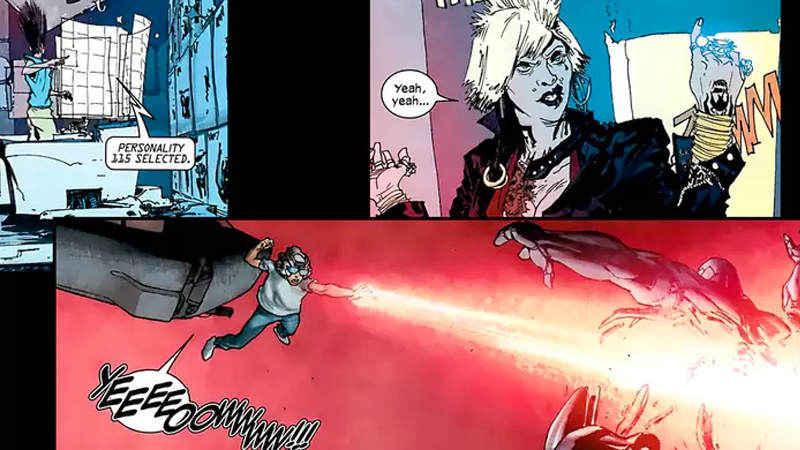 However, each personality in his mind controls a different ability, including Jack Wayne (who controls telekinesis), Karami (telepathy), and Cyndi (pyrokinesis, the ability to manipulate fire). David himself only absorbs people’s minds. He has many more powers, including teleportation, power negation, the ability to turn objects into salt, turning soundwaves into energy beams, spirit absorption, superstrength, and even reality manipulation. 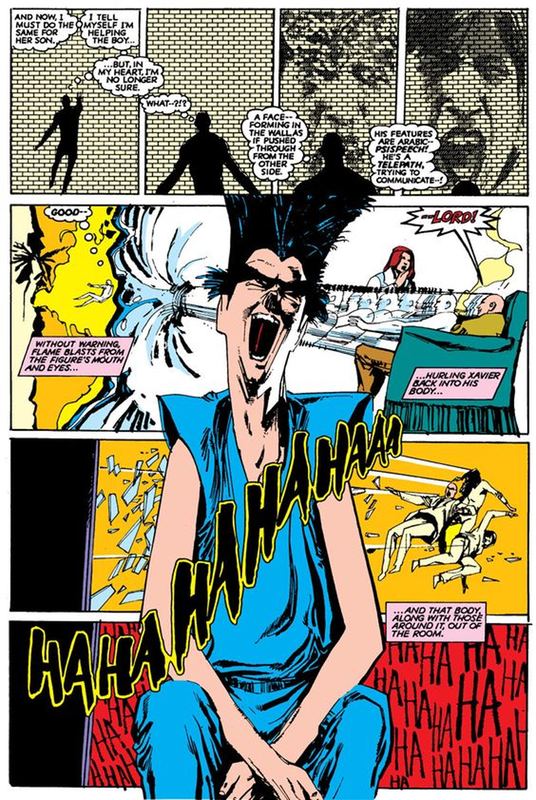 At the rare times when David can merge all of his personalities into one to become “Legion” he could even travel in time—which at one point accidentally leads to him creating an alternate timeline where Apocalypse ruled over the world during the Legion Quest and Age of Apocalypse storylines in the mid-’90s. The problem with manifesting those abilities is that when David does, the respective personality that controls that power becomes the dominant force in his body. Shortly after his father first helped him ease his powers, David was forced to use his telepathic powers to save the lives of New Mutants member Wolfsbane and Moira McTaggart, triggering Jack Wayne to take control of his body and wreak havoc, for example. Over the years since then, David has learned to individually select personalities and switch between them to use his vast powerset, and a few years ago even had a device called a Neural Switchboard Wristband, which allowed him to use different powers without their associated personalities taking control. Unfortunately, the death of Professor X in the 2012 storyline Avengers vs. X-Men once again mentally shocked David, loosening his grasp over his powers and personalities once more. Despite his very strong ties to the world of the X-Men through Xavier, David tries to keep himself mostly separated from the events of the X-Men team itself, partially because of the danger he can pose to the wider world. Although mostly an ally to the team, he’s equally been their foe in several storylines—like Legion Quest, or early New Mutants stories when his Jack Wayne personality was in control. Paired with his loner nature, also this usually means that David tends to keep himself isolated from the rest of the world. 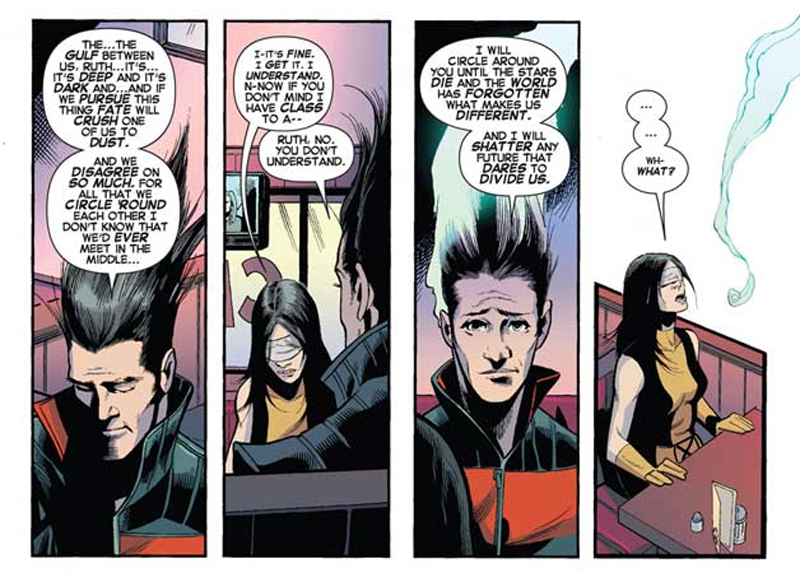 In fact, currently, David himself does not even exist in the Marvel universe—during Simon Spurrier’s run on X-Men: Legacy in 2014, David learned of a future where he would eventually wipe out all of Mutant-kind, decides to merge his personalities one last time and use his reality-altering powers to wipe himself from existence, erasing him from the memories of everyone who knew him—save for a fragment that lived on in the mind of his girlfriend, Ruth Aldine, the young X-Men member known as Blindfold. But with the arrival of Legion on TV, you don’t need mind powers to think that maybe we could see David Haller back in the world of Marvel Comics in the near future.